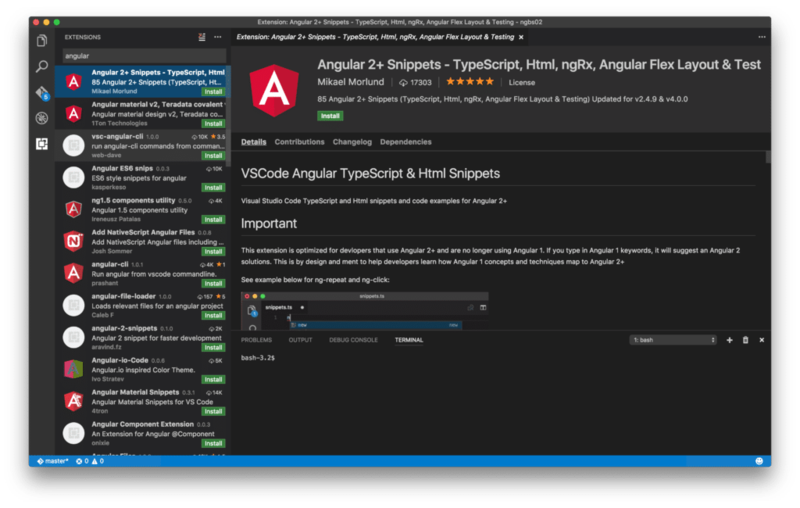 The installation of Visual Studio Code depends on your platform. First go to the project’s website at https://code.visualstudio.com and download the package which is right for your operating system. If your platform is MacOS, the installation is very easy. 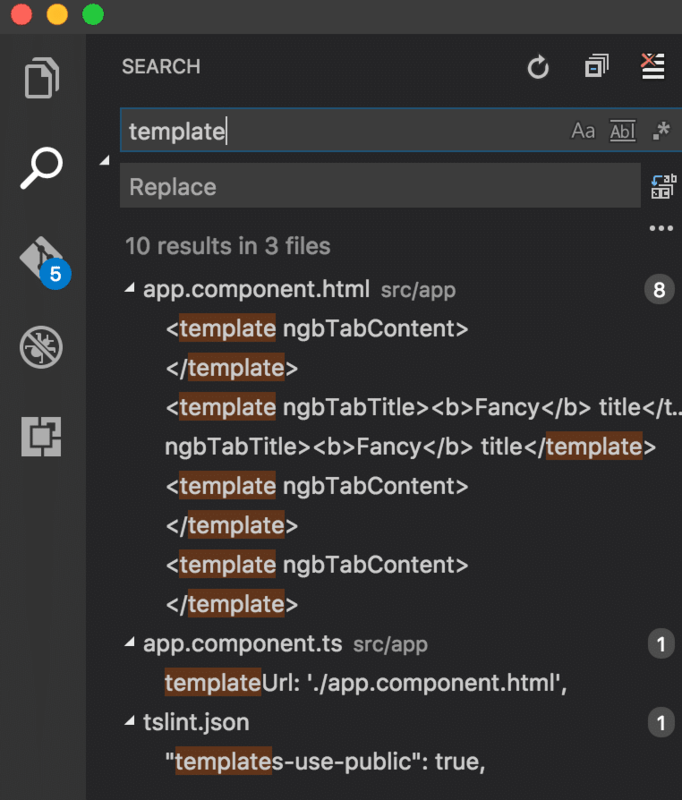 Download the Visual Studio Code archive, double click to unpack the archive and drag the file Visual Studio Code.app to the Applications folder. If you’re on Windows, you need to download and run the installer (VSCodeSetup-stable.exe). 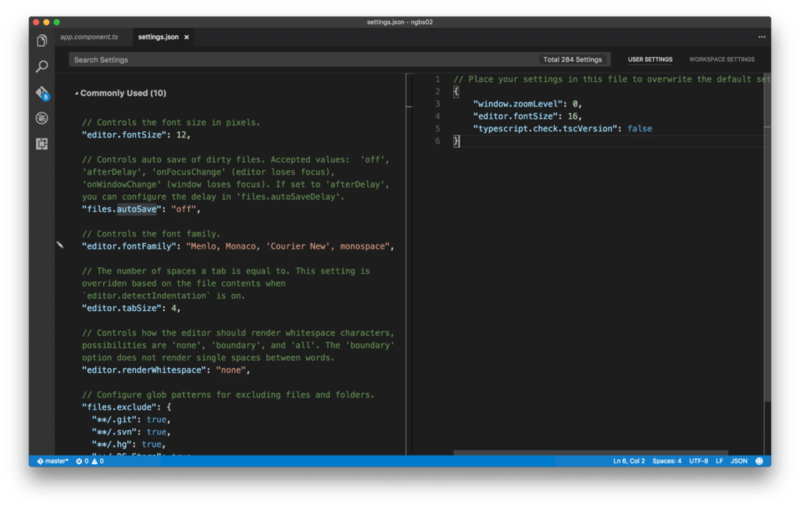 Having completed the installation successfully you can find Visual Studio Code in C:\Program Files (x86)\Microsoft VS Code. 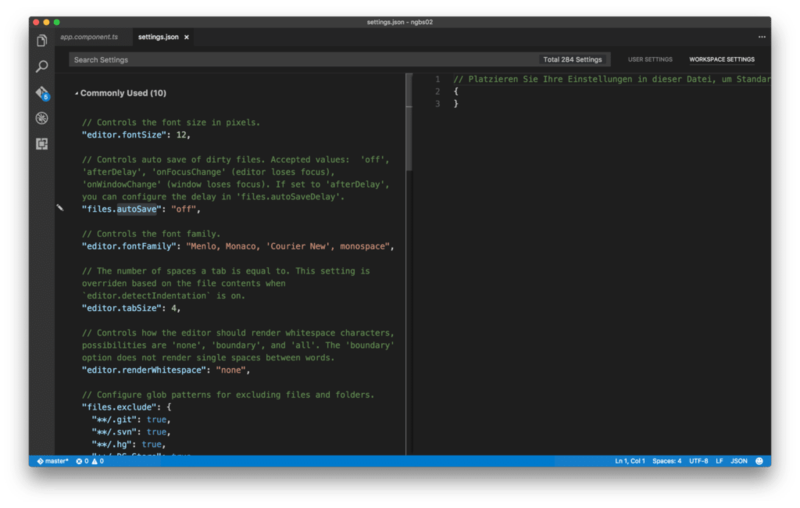 The installation of Visual Studio Code under Linux depends on the distribution you’re using. For a distribution-specifc installation guides take a look at https://code.visualstudio.com/docs/setup/linux. It’s also possible to use Visual Studio Code from the command line by using the command code. To be able to use that command the following steps needs to be performed first. 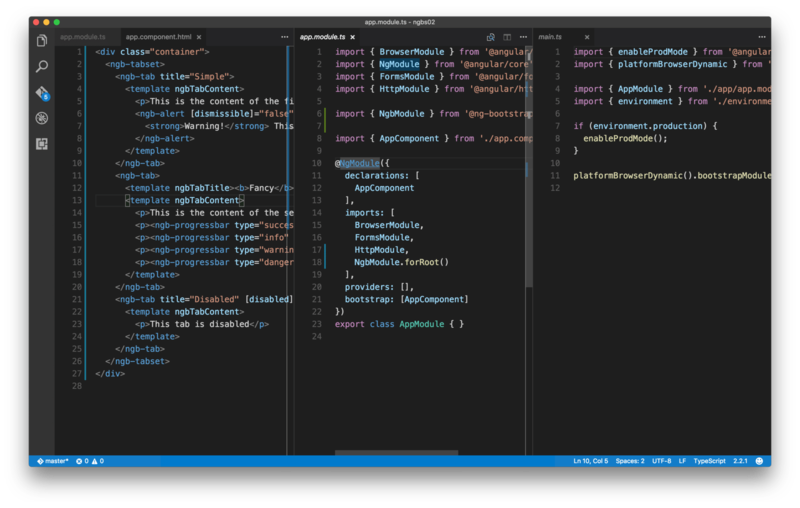 Open Visual Studio Code and access the Command Palette (⇧⌘P) and start typing shell command and select option Shell Command: Install ‘code’ command in PATH. After that you’re able to start a new terminal window, change into your project directory and use code . 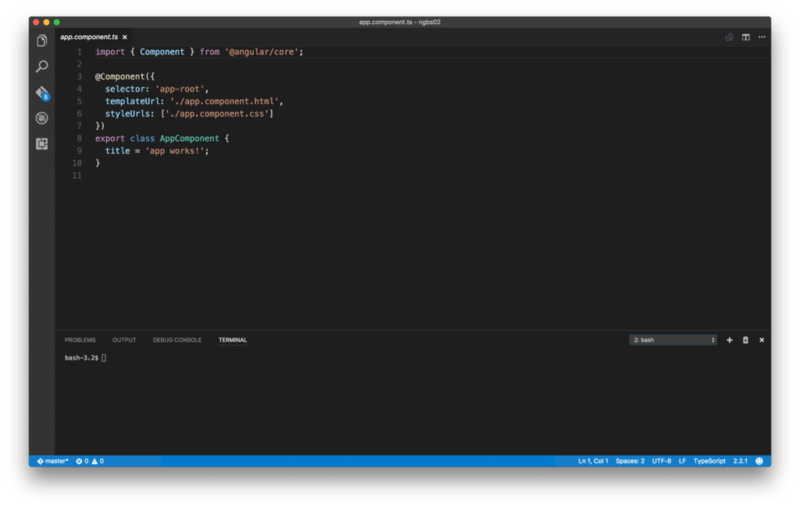 to open the current directory in Visual Studio Code. The most important part of the application is the Code Editor area on the right side. Here you can open and edit your code files. It’s possible to open up to three files side-by-side. Left of the Code Editor you can find the Side Bar area which can contain different views, e.g. the Explorer view like you can see in the screenshot. The Explorer gives you access to the project structure and you can select and open file for editing. You can toggle the visibility by using keys ⌘B. On the very left side you can find the View Bar. By using the View Bar you can switch the view which is displayed in the Side Bar. The following views are available by default: Explorer, Search, Git, Debug, Extensions. Underneath the Code Editor you can find the Panels area. Here you can choose from four different panel views: Problems, Output, Debug Console and Terminal. The blue Status Bar at the bottom of the application windows gives you access to information about the opened project and the open files. 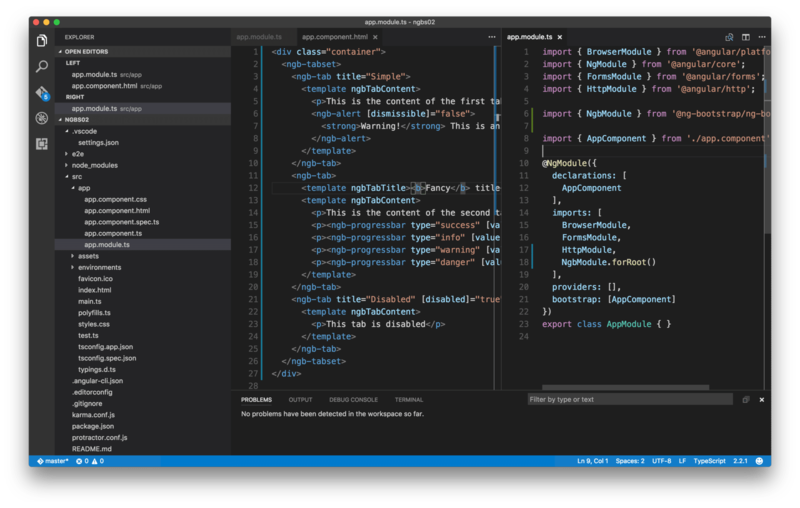 Visual Studio Code offers a Zen Mode which let’s you focus on the code. In this mode all other user interface elements are hidden and only the editor area is visible. To switch to Zen Mode use the key shortcut ⌘K Z. To leave the Zen Mode you need to hit ESC two times. If IntelliSense is available, suggestions will pop up as you type. If you continue typing, the list of suggestions is filtered to include only members containing your typed characters. You can press Tab or Enter to accept and insert the current suggestion. You can also activate IntelliSense explicitly by using keycode ⌃Space. As you can see you can start typing immediately and you’ll get back a result list with matching file names. You can start typing in the input field of the Command Palette and you’ll receive a list of matching commands instantly. 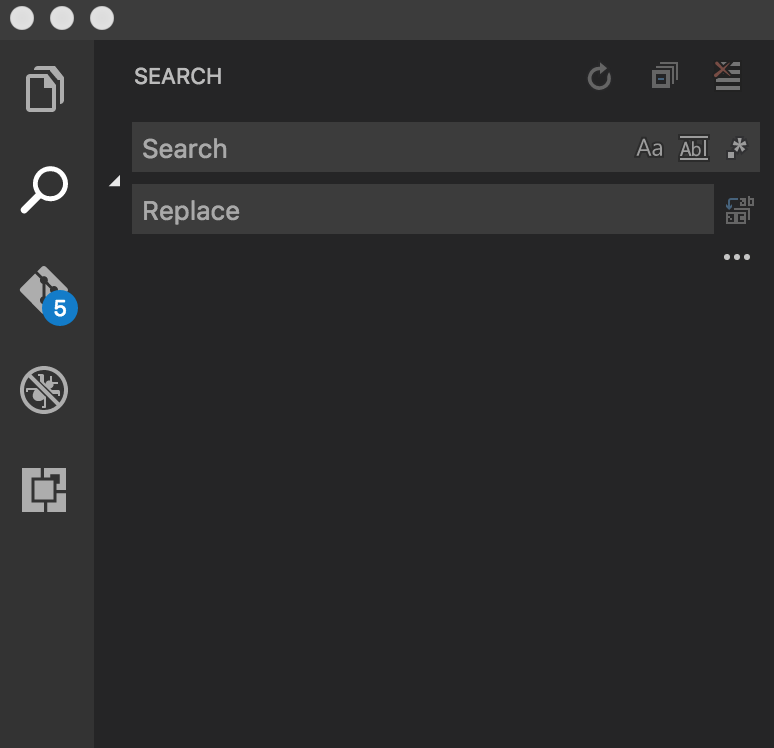 Workspace These settings are stored inside your workspace in a .vscode folder and only apply when the workspace is opened. Settings defined on this scope override the user scope. Changes to settings are activated automatically after the settings.json file on the right side is saved. 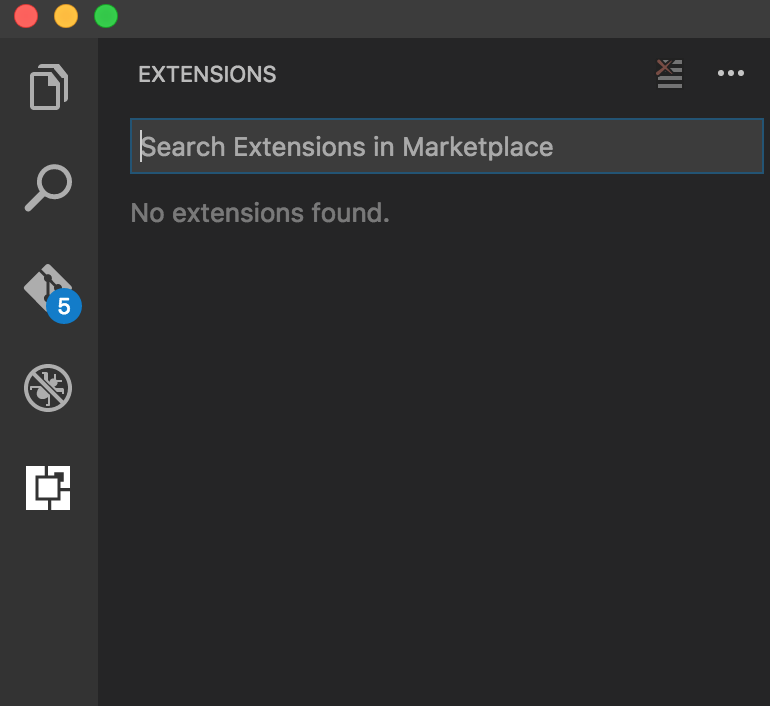 You can also search for extensions in the Visual Studio Code Marketplace https://marketplace.visualstudio.com/VSCode. Build 13+ projects, including a gigantic production application called YelpCamp. 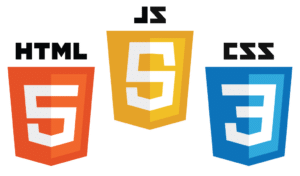 No other course walks you through the creation of such a substantial application. 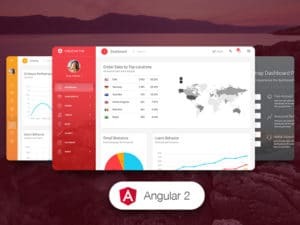 Light Bootstrap Dashboard PRO Angular 2 is a Bootstrap Admin Theme designed to look simple and beautiful. Forget about boring dashboards and grab yourself a copy to kickstart new project! It is the easiest way to save time and money for your development.